We believe the key to a baby's happiness is consistency of routine, in a safe environment with familiar carers. Babies love being with other babies and once settled into their new environment they soon develop their social skills and enjoy the stimulation provided by toys, music, singing and new friends. We will work closely with you to maintain the routines you have established at home for your baby. We realise that feed and sleep patterns are constantly changing in their first twelve months and together we can monitor your baby's ever-changing needs. Leaving your baby to return to work, or for any other reason, can be difficult. We recognise the strong bond between mother and baby and we will help you to settle your baby with us in a way that suits your needs. We have a staff ratio of 1:3 and your baby will have a keyworker who knows all their individual needs. During the approximate age of 12 and 24 months, children will be cared for in units that introduces many new interests, including painting, sand and water, jigsaws, books, playhouses, music and craft. Activities are undertaken with small groups of children of similar age and ability, in order to use the equipment to each child's own potential. 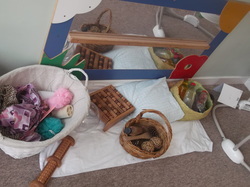 At this stage, the child is being encouraged to join in with nursery routine and the first stages of independence are sensitively and carefully encouraged. Language is encouraged using stories and singing action songs. This is often the age when children start to walk and we aid physical development with soft play, music and movement and pushalong toys. The staff ratio remains 1:3 until the child is two. As the child develops, the resources also change to ensure that they are constantly age appropriate and stimulating. All our staff are trained to observe children, to encourage a child to be inquisitive and to provide positive support and praise at all times. The children will begin to encounter the concepts of shapes, colours, counting, role-play, cooking and many other new experiences. Physical activities are encouraged, with active participation in gym, dancing and regular play in the nursery playground. The staff ratio for over 2s is 1:4 . 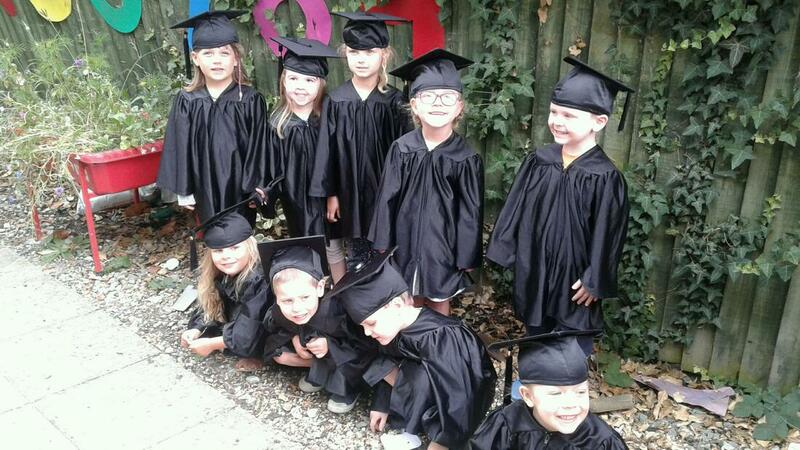 The value of pre-school education is too important to ignore. The benefits to the whole quality of childhood and to children in later life is immense. Research based on the needs of the child during the early years, point to the important place of education long before primary school. Evidence suggests that children who have had exposure to books, numbers and creative resources before school, are more enthusiastic, confident and intellectually stimulated. It is during the first vital years of life that a young child is capable of learning more than at any similar period of time. It is therefore very important to build a firm and solid foundation in the early years. A pre-school child is observed daily to ensure their individual needs are being met. 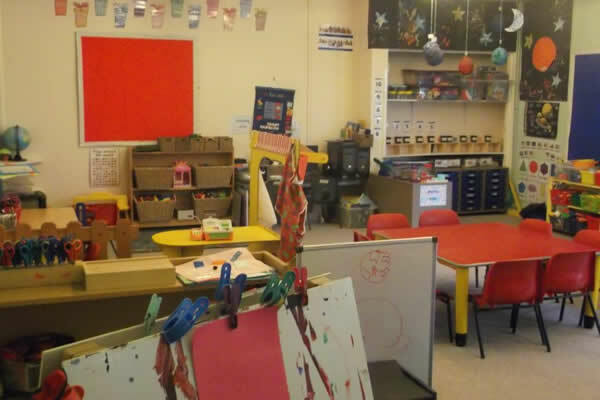 The rooms are arranged to ensure that the children have many choices of play activities and resources available to them. The staff then play with the children at their chosen activity encouraging their curiosity and questioning them to build their understanding. The staff naturally incorporate discussion about numbers, shapes, sounds and colours to introduce numeracy and literacy into play situation. Learning really is fun at Steps Ahead!